Thinking about real estate these days? If you are planning to buy a home and have started your home search, then it’s time to start thinking about a credit report. A credit report documents your financial history and contains information about your debt including loans and credit–cards, lines–of–credit and any outstanding bills that were sent to collection agencies. It indicates how regularly you made payments and how many times you’ve applied for credit. Financial institutions use credit reports to help them determine how you well you will pay your mortgage, and to establish if there is a risk of you defaulting on your mortgage payments. The higher your credit rating, the more likely you are to pay your bills on time. Since credit reports can impact your ability to obtain a mortgage, it’s important to protect your rating by making your loan and credit card payments on time and by not taking on more debt than you can handle. It also takes time to build a good credit history. Be sure to apply and use your credit cards to build a track record of repaying debt. 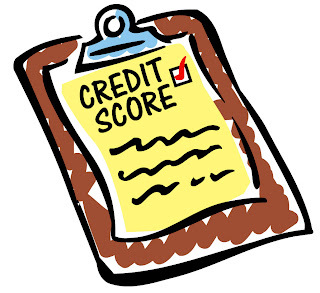 It’s also wise to view your own credit report to ensure the information is accurate. For a small fee you can request to view your score online immediately, or you can ask for it via mail, which is free. The two credit reporting agencies in Canada are Equifax Canada and TransUnion Canada. The information on your credit report is confidential and you have to give permission for a third party to view it. Typically lenders, landlords and employers are the people who will want access. Mortgage default insurers such as Genworth Financial will also require a credit report before finalizing mortgages with you. Information included in the report includes name, address, social insurance number, contact details, date of birth, current and previous employers. It also details your credit history such as bill/debt payments. It can contain information such as bankruptcies and also lists all the parties who have received the report. It does not include your medical history or purchases made with cash. If you are declined credit, try to find out the reason why, you may not meet the minimal income requirement or haven’t been at your current residence or job long enough. If you have ever declared bankruptcy, that will stay on your report for six to seven years. Building good credit is as easy as paying your bills on time each month. Get started early to ensure you’ve got a good history to show your potential lenders. To request your credit report visit www.equifax.ca or www.transunion.ca today. To learn more about mortgage default insurance and to find more tips about homebuying, visit Genworth Financial’s helpful website at www.homeownership.ca.